Fitness is a hot trend in recent years, so Edraw offers you several exquisite fitness cliparts for creating hotest fitness infographics, propaganda, advertisements and brochures etc. Fitness is quite popular for body shape and building in recent years. More and more people from different ages fall in love with fitness. Thus, Edraw offers many fitness movement, equipment, sportswear, and nutrition supplement etc. to meet the requirement of fitness clipart seekers. 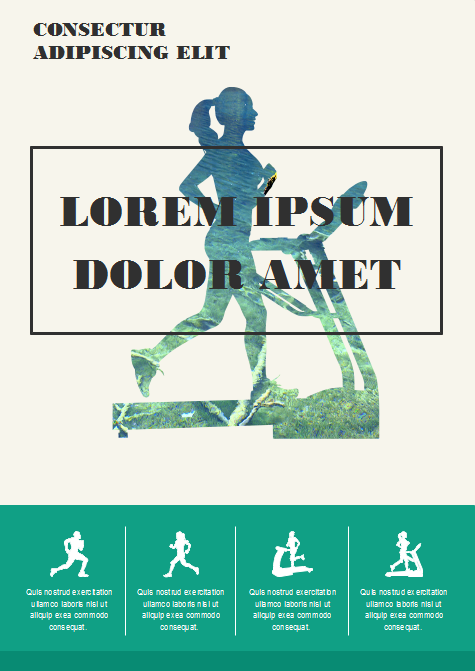 Those fitness cliparts could help users make advertisement flyers, brochures, infographics and related graphics. Not only can you use those cliparts, but you are able to draw different types of graphics with this software. Edraw Max is not only your clipart database, but you can design diagrams and graphics with this powerful software. All cliparts are vector which could be edited by different tools. 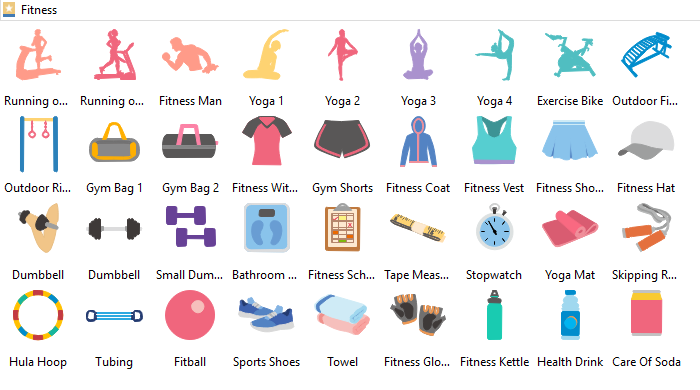 Drag-and-drop fitness cliparts from libraries and design below style flyer easily with this software. You will love the powerful clipart libraries of Edraw. Enjoy using cliparts for drawing diagrams and graphics on multi-platforms with this user-friendly application. You'll be surprised by its abundant exquisite cliparts, amazed on how easy it works, and satisfied with the service and price. Have a trial now!